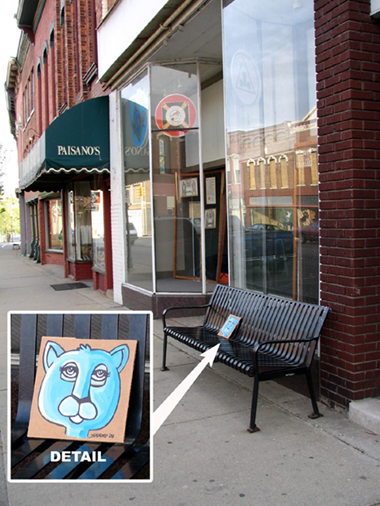 Guerilla art drops during this evening's excursion to Three Rivers, Michigan. I've been wanting to leave art in Three Rivers for quite some time.... tonight seemed like the right time. These are four of ten I placed around Main Street.